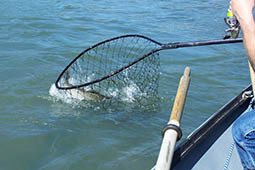 Welcome to Oregon Steelhead Fishing! Where, when and why with specifics. 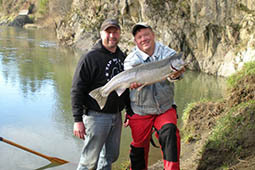 Winter Steelhead Fishing by Scott Pence is the definitive guide for Oregon steelhead fishers. Follow along with Scott as you discover the best times to go steelhead fishing in Oregon’s North Coast streams. With the Winter Steelhead Fishing guide by Scott Pence, you’ll discover the best fishing details from how to find “The Zone” to the optimal day and time to fish for steelhead in each of the North Coast Oregon rivers. Fishing is always an adventure. You never know what might happen and each trip always has a different ending. 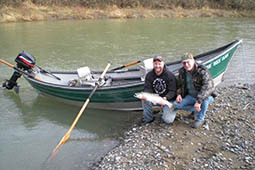 Avid Steelhead fishers know the exhilaration that comes along with reeling in a big catch. 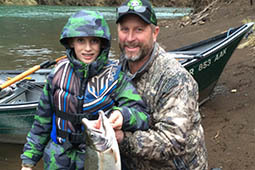 Winter Steelhead Fishing by Scott Pence acts as the perfect guide for fishers to find the best spots during the best time of year to land the best catches of the day. With detailed maps that outline each of the North Coast rivers in Oregon, find the ideal location to put in and where to avoid. 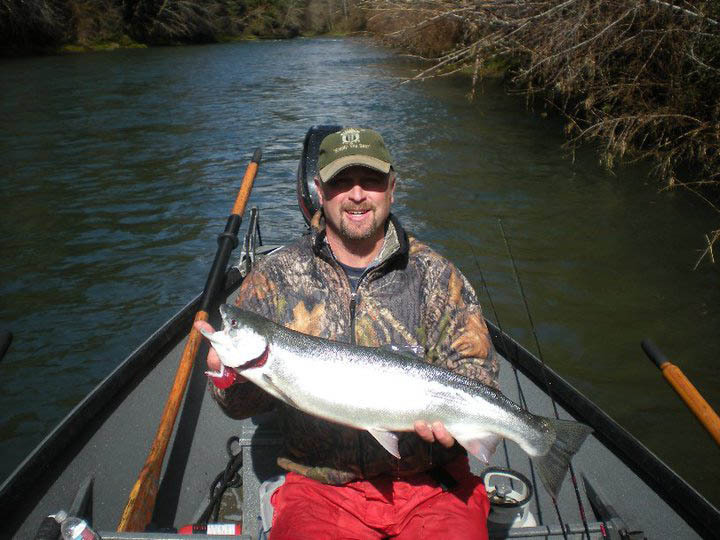 Winter Steelhead Fishing offers steelhead fishers the ultimate guide to fishing in Northern Oregon. A concept unlike any other in the realm of fishing books, Winter Steelhead Fishing isn’t a how-to, but rather a guide on where, when and why to go to a specific river and make a specific drift. Scott wrote this book because he enjoys seeing people become successful at fishing. Additionally, he also felt there was a need for a book of this nature, presented in this fashion. Discover where to go steelhead fishing in Oregon on North Coast streams on any given day with the help of Winter Steelhead Fishing by Scott Pence. In short, Scott’s book will help you understand how to predict how to be at the right place at the right time for Oregon steelhead fishing. May you have great success during Oregon winter Steelhead fishing season with the help of Scott’s book, which is now available for purchase. Thank you for all of the skills and techniques I have learned from you to be a better steelhead fishermen. 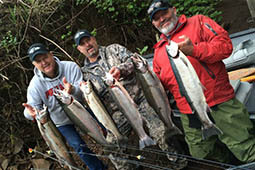 Scott Pence, Author, Winter Steelhead Fishing: North Coast Streams of Oregon. Learn exactly how to truly increase your success by understanding what creates optimum Steelhead conditions, when, where and how to find them. Scott’s ease in sharing his method has earned him the respect of guides,friends and strangers on these rivers. All secrets are unveiled revealing the ideal conditions and his intimate knowledge of these North Coast Rivers. Specialized maps for each river illustrate Scott’s ideal areas to fish as well as boat slides for planning a great day on the river and epic fishing. An outdoorsman that does not rely on luck, Scott has gathered the critical elements and little-known truths of what conditions account for consistently successful days on the river. Scott contends, “The best fishing day truly is when you are catching fish!” Scott lives in Central Oregon and enjoys many outdoor endeavors with his wife Shawna, two daughters and his son. 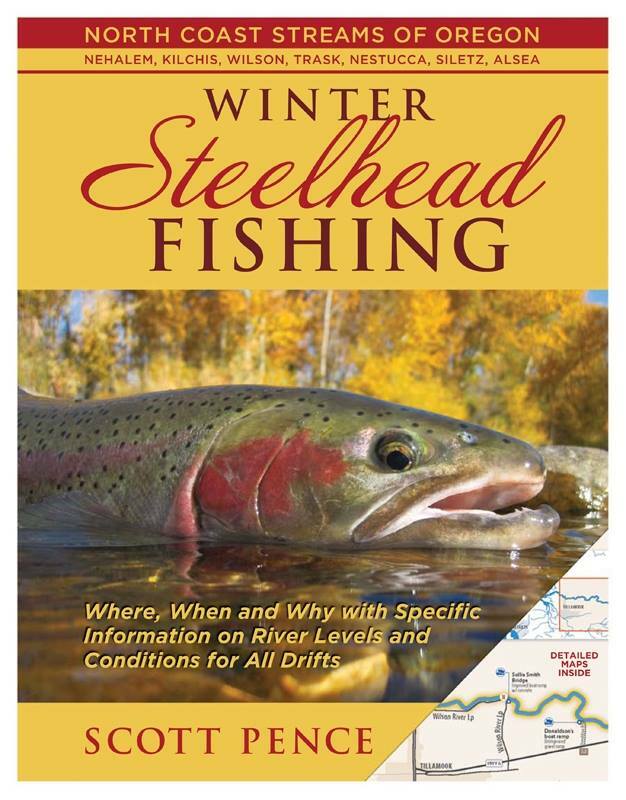 Copies of Winter Steelhead Fishing can be purchased for $24.95 plus shipping and handling. Fill out the form below, and we will call you to arrange payment and finalize your purchase.